> Cartera Commerce > Is it Worth The Discount? 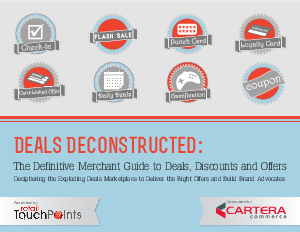 Start deciphering the exploding deals marketplace and learn how you can deliver the right offers while building brand advocates. Download your free eBook today.